Knee injuries are not reserved for the most athletic and dedicated runners. In fact, a knee injury is just as likely to occur in a beginning runner as it is in someone who runs countless miles every week. While the most ambitious and well-trained runners are at a greater risk of developing a knee injury from overuse, beginning runners are just as likely to develop an injury from fatigue or improper running form. When you aren’t used to running a lot and you are just getting going, you need to make sure that you have all the right precautions in place to make the most out of your workout. Whether you’ve been running for years or are just getting going with this rewarding workout, a high-quality knee brace can be your best friend in terms of keeping you on the pavement, out of your Jacksonville ortho office, and on-track towards reaching that new personal record. Jacksonville orthopedics see all types of knee injuries, but there is one thing that often stays true. Most knee injuries could have been prevented if the patient had just taken certain precautions. Take the tip from your orthopedic specialist and try out a knee brace. Patellar stabilizing brace. This type of brace simply works by stabilizing the kneecap, or the patella. These braces will typically feature some sort of small brick or strap that is intended to hold the kneecap in place during the running motion. Neoprene brace. This is one of the most classic types of knee braces, a very stretch material that fits over the knee like a tight-fitting sock. This type of brace works by insulating the joint, offering compression and retaining heat, which is especially helpful in cold-weather running. Arthritic knee bands. These braces look rather heavy-duty, especially when compared to some of the other options on the market, but if you are experiencing arthritic pain, this is the only option. These braces have hinges which are specially designed to reduce bone-on-bone friction. Knee bands. The most light-weight of the knee-brace options, the knee band is a small little strap that stays just below the knee as you go running. This band is especially helpful for those who have damaged their patellar tendon, which is the tendon just below the kneecap. The band works by relieving stress and strain on the patellar tendon. This sort of knee band is highly recommended for overcoming the very common runner’s knee. If you are experiencing any knee pain, getting a brace is the best way to go—and sooner rather than later. These braces are designed to alleviate pressure on the knee, which means that getting a good knee brace can save you major aches and pain down the road. 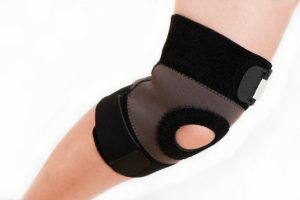 If you aren’t sure what type of knee brace you might need, consult with your Jacksonville orthopedic specialist.